Extracting Skype conversations from a hard drive being examined may be a complex task or an easy job depending on the tools used. With Belkasoft Evidence Center, extracting Skype conversations is a quick, easy and affordable task. The ability to extract Skype conversations (along with the ability to extract communications occurring in more than 80 instant messengers) is provided in the most affordable edition of Belkasoft Evidence Center, the Forensic IM Analyzer. 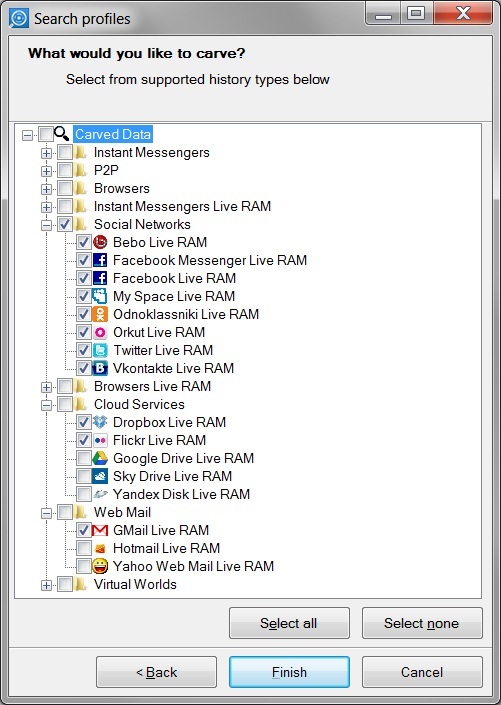 Forensic IM Analyzer delivers investigators an affordable tool allowing to extract and analyze log files, communication histories and contact databases of a wide range of instant messenger applications including Skype, AOL, ICQ, MSN and Live! Messenger, Yahoo! Messenger, RQ, Miranda, MySpace IM, SIM, QIP, QIP Infium, Trillian, AIM, Digsby, Rambler Virtus, Mail.Ru Agent, QQ, and many other instant messengers for Windows, Linux and MacOS. More than 80 applications are supported in total. Finally, you’ll need to specify the type of data to carve for. In order to carve Skype communication history, mark Skype under the Instant Messengers check box. 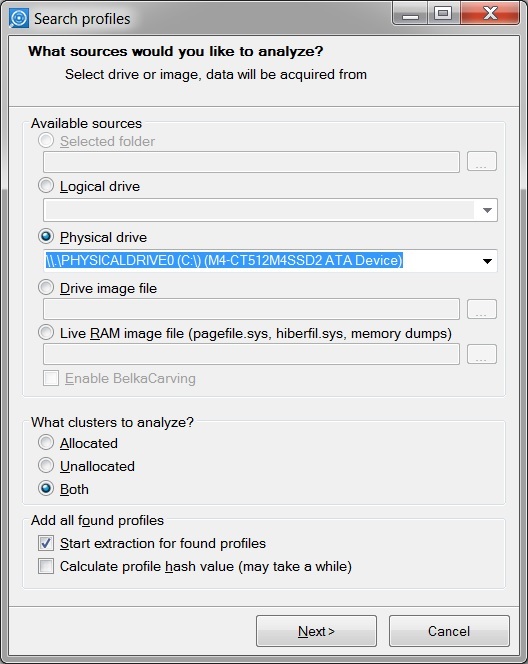 More information about Skype log carving is available at Carving and Live RAM analysis.